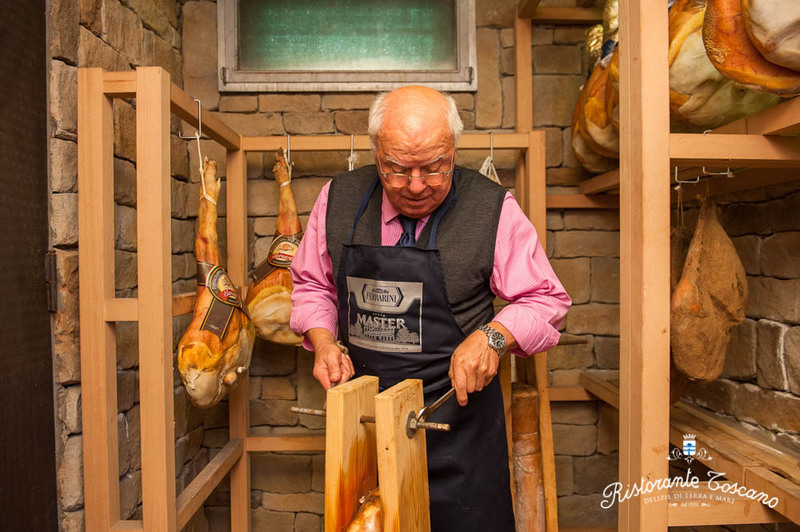 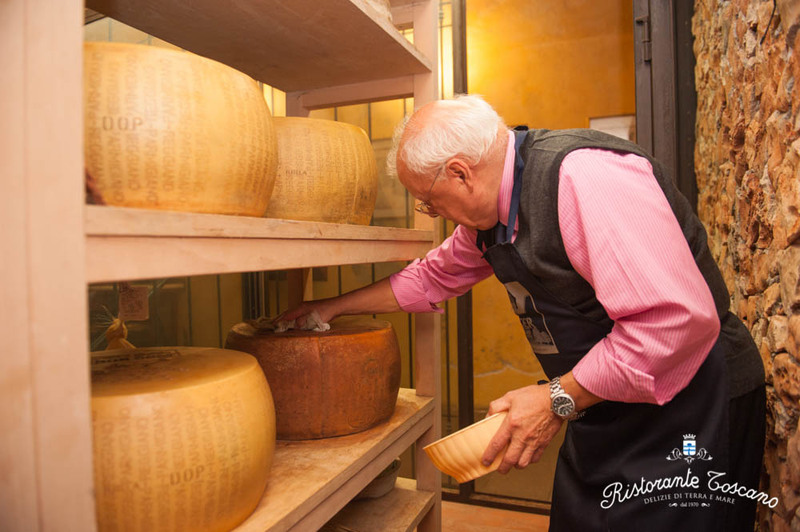 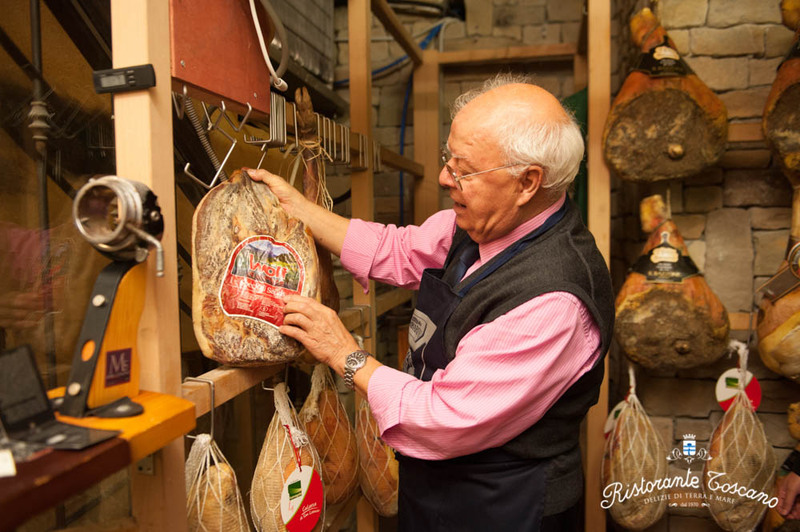 A large area, managed down to the finest detail, offering more than 600 labels selected with Giovanni's experience. 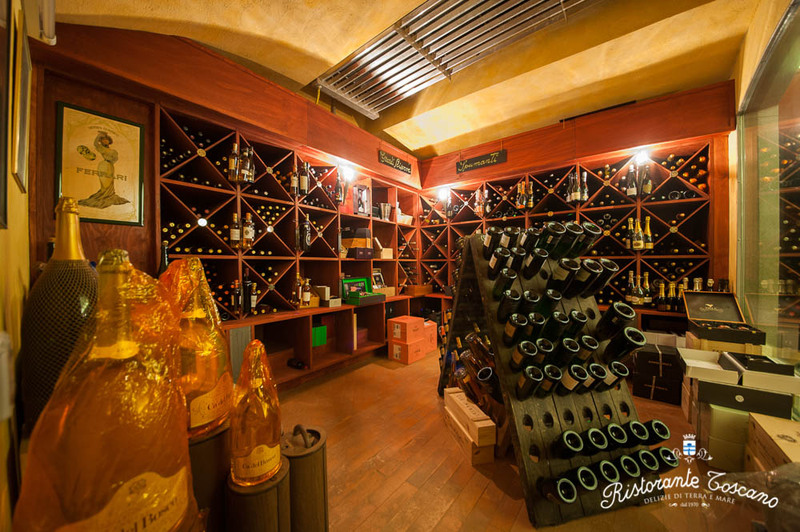 The wine cellar, created in 2005, has some prestigious bottles from the Italian and French wine traditions, with a particular focus on Champagne and Sauternes. 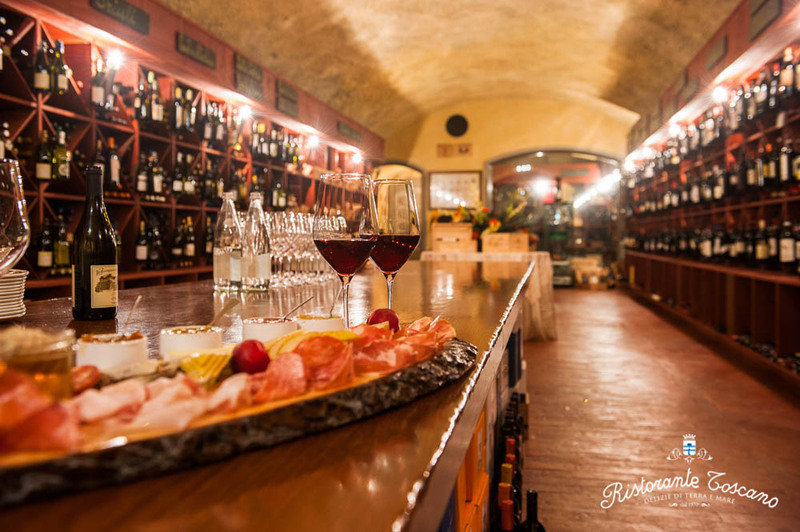 The perfect place to forget the passing of time and savour the atmosphere with good wine and quality food. 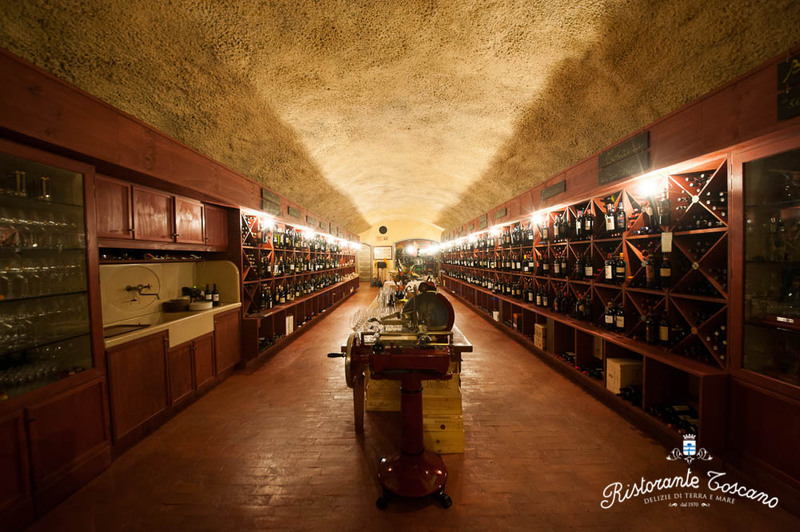 The large central table helps to appreciate the wine-cellar at its best. 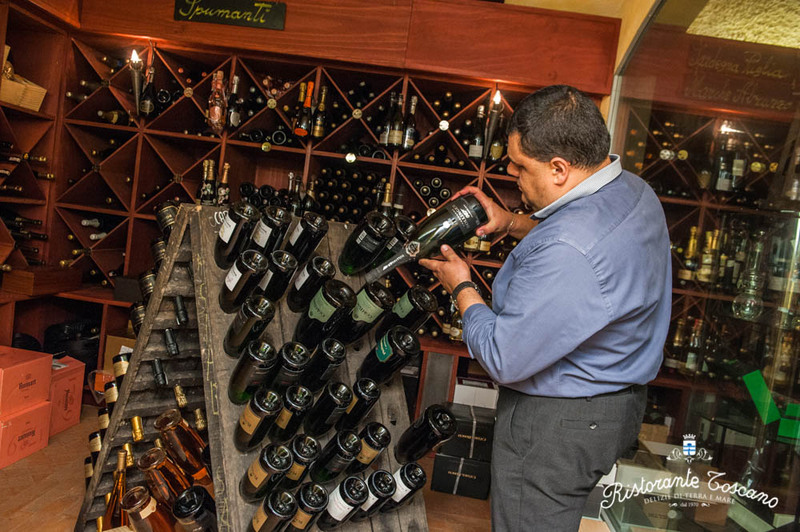 It's also available for your "Special moments", an aperitif for example or something else. 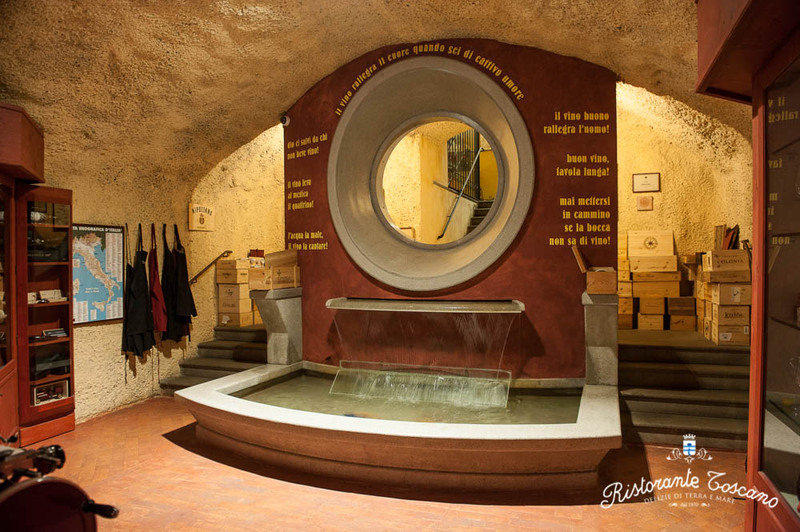 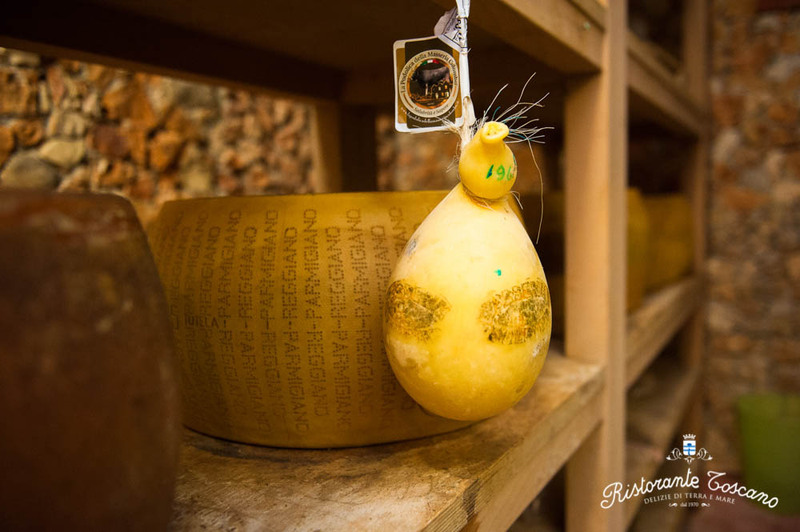 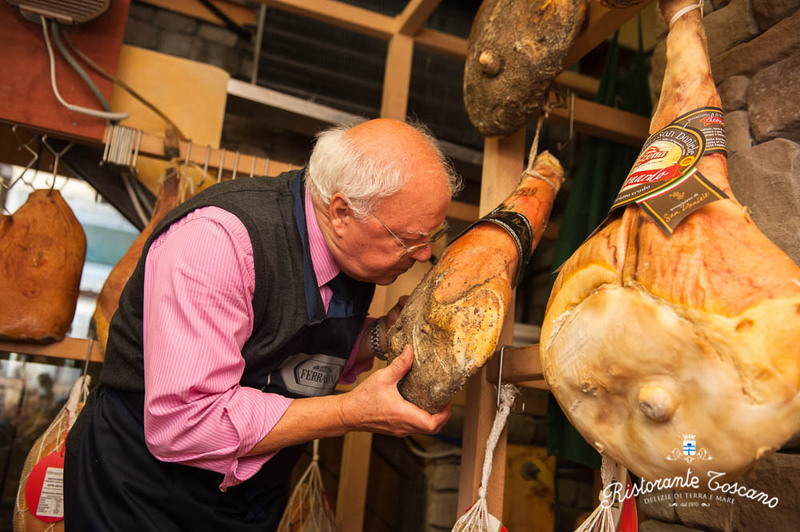 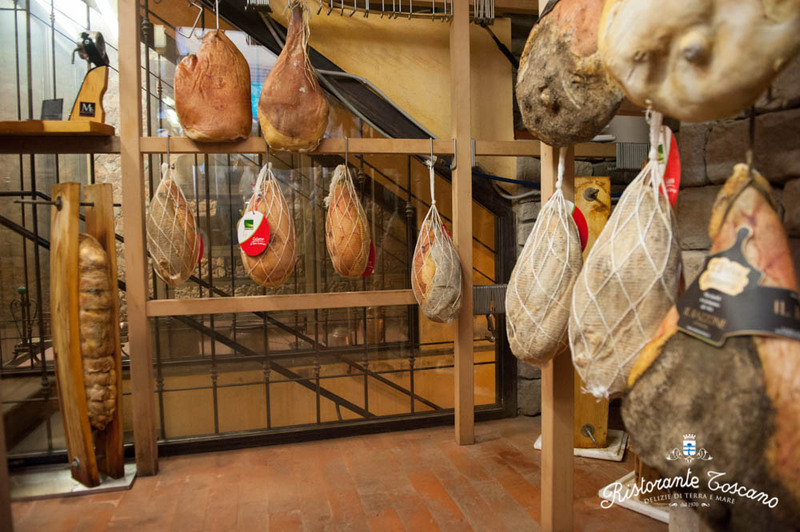 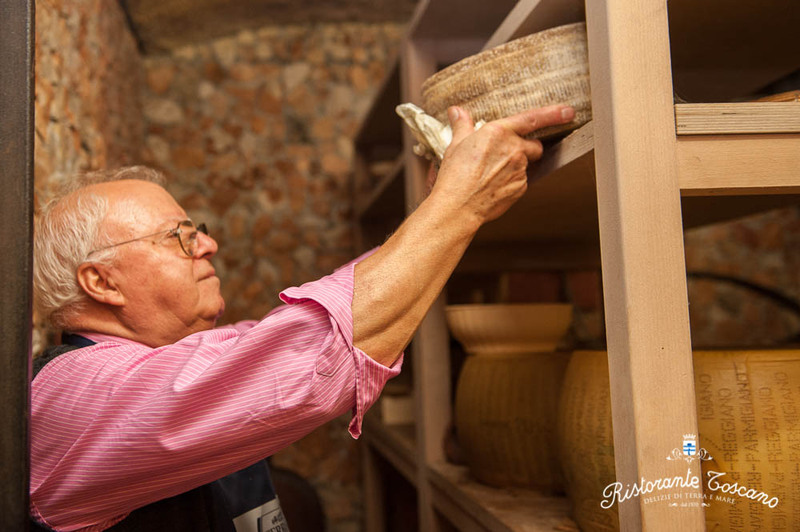 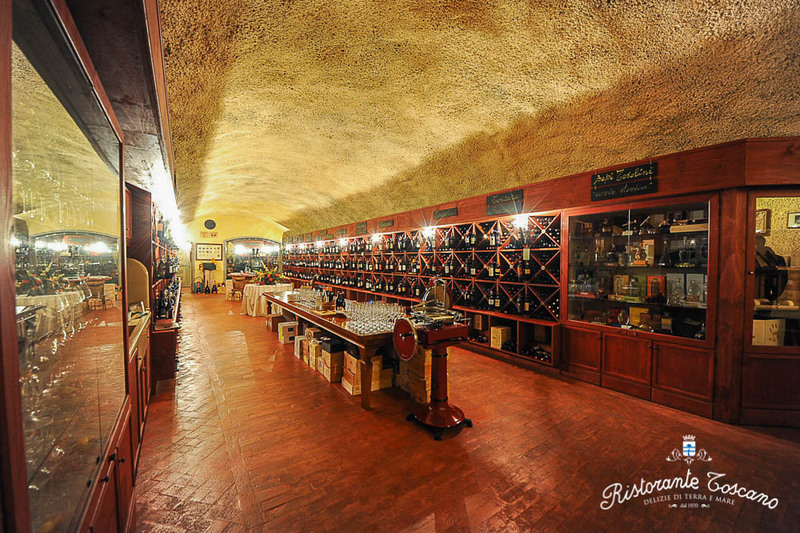 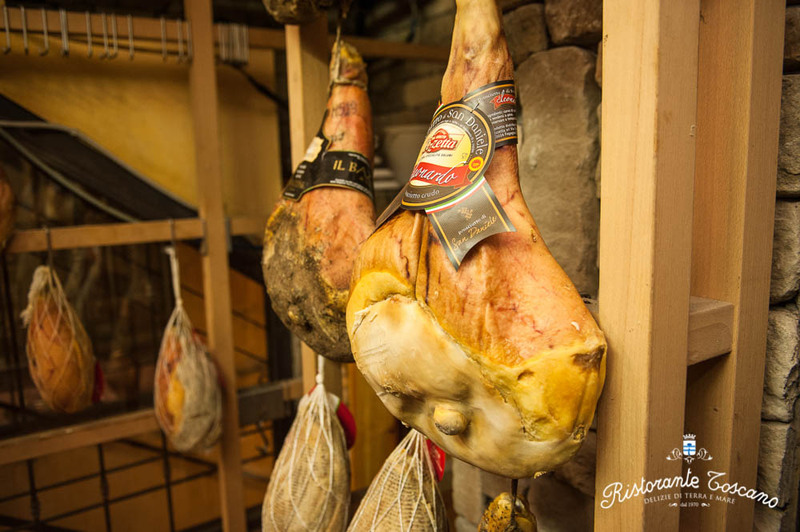 Here you can also find the wine-cellars where the cheese and salami are matured. 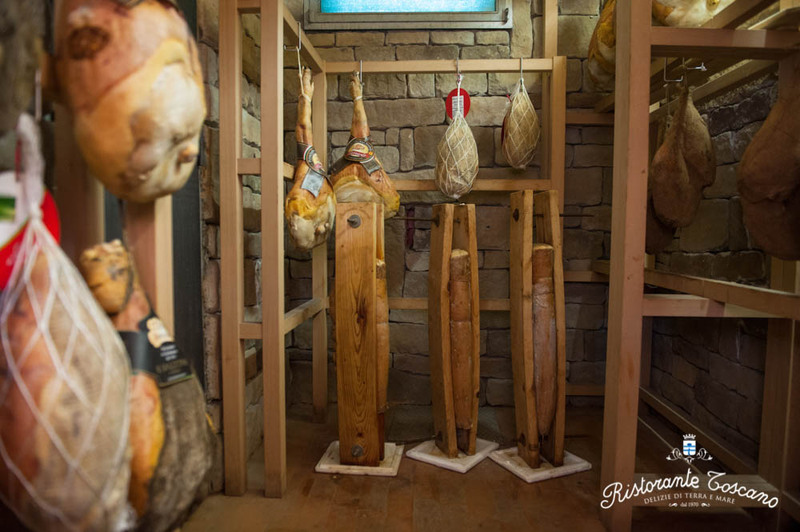 Rooms are separated to preserve the high quality of the food and wine, with a controlled temperature degree and humidity. 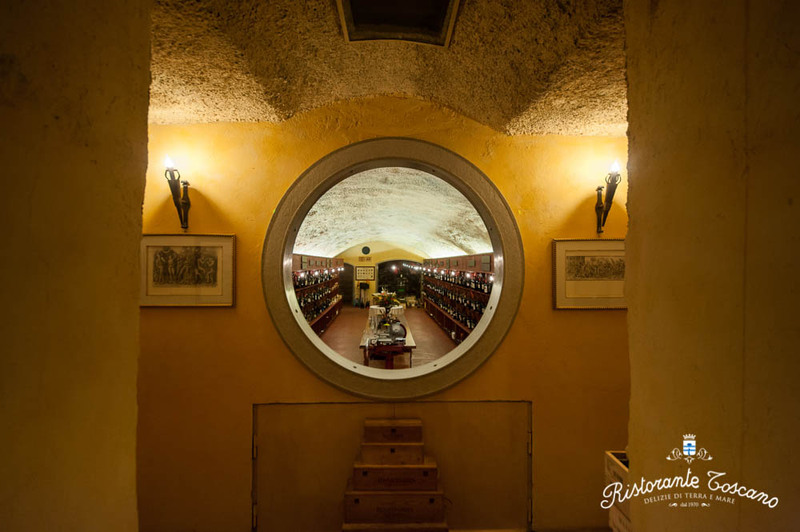 In the large wine cellar you can enjoy an aperitif or simply choose your wine for lunch or dinner.